That was a lot easier wasn’t it, and no we didn’t forget to put the list in, it’s just that we’re that comprehensive. But seriously here are a few very popular areas we cover. Digital Printed copies or Photocopies are one of our specialties. Black & White copies We have the capabilities to produce big copy jobs very quickly. Our commercial-quality, high-speed copy equipment provides high-quality images at a surprisingly low cost! When you need fast, inexpensive copies of higher quality than you can get on your office copy machines, give us a call. We’re ready to help! • You need quantities of 500 or less. • You need a project completed very quickly. • Making single copies of multiple originals. • Making an important sales presentation. Two Color Printing Want to boost response on your next direct mail piece or grab more attention with your brochure? Consider adding a second color of ink. Studies show that two-color printing is more effective at attracting attention than its one-color counterpart. We have hundreds of ink colors to choose from and can even create a custom-mix for you. Large format copies up to 36″ wide and any length. Perfect for house plans, plats, maps, contractor and engineering plans, etc. We now offer these in full color, although items such as plans still tend to be Black and White. Call us when you need to output your computer files! We can output files from virtually all major software applications on Macintosh or Windows platforms. We have many options – including a large selection of fonts, output services, printers, and full-service capabilities. Flyers Did you know that flyers were among the earliest printed pieces ever produced? Called broadsides, these single-sided sheets were used primarily for advertising and political purposes. While the technology behind them has changed, flyers remain as popular as ever in today’s business world. They’re easy to produce, easy to distribute, and, most importantly, easy to scan and read. We design and print sales flyers in a variety of sizes, shapes, and stocks of paper, with one, two, or multiple colors of ink. So the next time you need help producing a flyer, give us a call. Programs & Announcements Special occasions are among the most cherished times in our lives, but planning such events can be stressful. Save yourself one worry by bringing your program printing to us. Recognition events. Banquets. Awards ceremonies. Whatever the event, we can help you create a distinctive program on time and within your budget. • One, two, or multiple colors of ink or full color! Wedding & Social Stationery Special occasions are among the most cherished times in our lives, but planning such events can be stressful. Save yourself one worry by bringing your program printing to us. Recognition events. Banquets. Awards ceremonies. Whatever the event, we can help you create a distinctive program on time and within your budget. Business Cards We can design and print business cards that reflect your corporate identity. On the most basic level, we print basic black on white paper. For those interested in making a really terrific impression, we offer a variety of impressive services including full-color printing, embossing, and foil printing. We can also help you design and print a complete corporate identity package that includes business cards, letterhead, envelopes, business forms, and mailing labels. Letterheads We provide full-service design and print solutions for corporate letterhead. We can help you design a creative letterhead that is part of a larger corporate identity, or print from your existing artwork. Envelopes We can design and print many, many different sizes and shapes of envelopes. These can range in format from the most basic black on a regular #10 business envelope to complex designer envelopes, featuring full-color images. Index Tabs – Divider Sheets When you want to add a distinctive touch to your meetings, presentation materials, or manual…, why not put your personal touch on custom-made index tabs? Custom index tabs are surprisingly inexpensive and are printed on heavy weight card stock. Colorful Mylar laminating can be added to improve the appearance and add to their durability. Product Sheets – Sell Sheets Product and sell sheets are the most commonly used promotional literature in the business world. 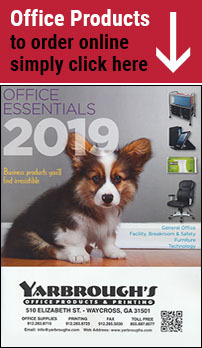 Most are printed full-color on one or both sides of an 8 1/2 x 11 sheet of paper and may include three-hole drilling so they can be put into 3-ring binders. Whatever format you choose, we can help you design and create powerful sell sheets or print from your artwork. Plus, if the need arises, we can rush your order through to meet any emergency deadlines for trade shows or mailings. Brochures Every product you sell needs a brochure. It’s one of those Business 101 things. Through the years we’ve probably printed several million brochures, and while that doesn’t automatically make us an expert, it sure doesn’t hurt. We know what papers to suggest to create a quality look or a discount price special brochure. If you plan on mailing your brochure, we can recommend a paper that will stand up to the potential damage done during the mailing process. Our design team can also listen to your concepts and ideas, and help you create an attention-grabbing promotion piece. We can then print a beautiful one, two, or four color brochure to our exacting quality standards. We have left this section to last because a number of the finishing and services listed below are included in our products above, but if you need to confirm anything, here is a list of Print Finishing & Services. Here are some of the more popular binding products and services we offer. Our booklet making machine – A truly amazing piece of equipment that collates, staples, and folds loose sheets into very nice and professional looking booklets. Comb binding – The classic round plastic bindings that require nineteen little square holes in each sheet of paper. This process can be used for books up to 400 pages. Pages can be added or removed easily. And the finished book lies flat when opened. Tape bindings – Known for its strength and durability, tape binding is frequently the choice of librarians and graduate school professors. Works best with documents up to 300 pages. It sounds a little funny, but we’re experts at drilling holes. We have powerful hydraulic paper drilling machines that feature many different sizes of paper drills and enable us to position the hole just about anywhere on the sheet of paper. Just remember to allow 1/2 of extra margin for three-hole drilling along the side of the sheet of paper. When you need high-speed folding, you’ve come to the right place. Our bindery/finishing department provides many different options for folding. Our high-speed folding machines can fold at speeds exceeding 5,000 sheets per hour. Many different folding formats are available, and for more unique folding jobs, we also offer several hand-folding options. Laminating from Business Card size up to 18″ wide with variable length. Perforating a printed form can create an easy-to-remove response card, coupon, or customer feedback form. Our wide variety of perforating blades gives you flexibility when designing pieces that need to separate effortlessly. We can also design pieces that can stand up to the rigors of post office mailing equipment without pulling apart. A full Design & Document Creation service. 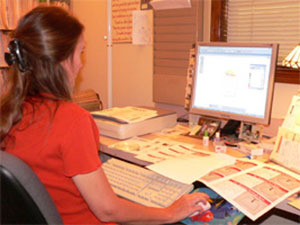 Our professionally trained graphic designers are computer artists who know how to use their creative abilities to improve the look of your printed projects. Delivery Service is available, and subject to the order or your location, often FREE. To help our customers we do offer Shrink Wrapping for the times when you need your printed projects packaged in bundles for easy handling, our thermal-vacuum shrink-wrapping equipment will provide the ideal solution. Our knowledgeable and friendly staff looks forward to helping you manage your business needs. We're only a click or phone call away!